Dr. Shantanu Naik is the medical director of the critical care unit at Seton Northwest Hospital in Austin, TX. Dr. Naik was born in Pennsylvania but spent many of his educational years in Michigan. He completed his internal medicine residency at Henry Ford Hospital in Detroit and then worked as a hospitalist in Illinois and Michigan while waiting for his wife to finish her residency. He did his Pulmonary/Critical Care fellowship at the University of Texas Medical Branch in Galveston, where he was Chief Fellow in his third year. 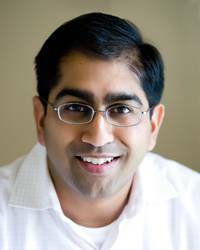 Dr. Naik is board certified in internal, pulmonary, critical care, and sleep medicine. He is a member of the American Thoracic Society and American College of Chest Physicians. His professional interests include thoracic oncology and sleep medicine. He and his wife have three children and a dog. He says his greatest challenge, at least at home, is raising little Wolverines in Longhorn country.